How do you teach kids the real value of Christmas? Is it in commercial products you buy for them that they can open on Christmas day? We know this is part of the fun. In today’s commercialized society, it can sometimes be difficult to send the message that it is not about things, when there are so many choices of things to buy. Talking to kids about what Christmas means to you and your family is part of the ongoing family tradition of your family, from generations before. Christmas means different things to different people, but some common ground crosses cultures. There is nothing wrong with buying gifts for people who are special in our lives. Too many times, people buy gifts for people they never use. So a little forethought regarding the specific interests of the person you are buying for goes a long way toward finding a more meaningful gift. Here is a list of ideas that should help kids learn to buy meaningful gifts this holiday season without overspending or putting the emphasis too much on the gift itself. Think about what the person to whom you are giving the gift really values. If someone enjoys fishing, consider a gift they can take with them on their next fishing trip, such as a package of extra lures, a new fishing tackle box or fishing cap. 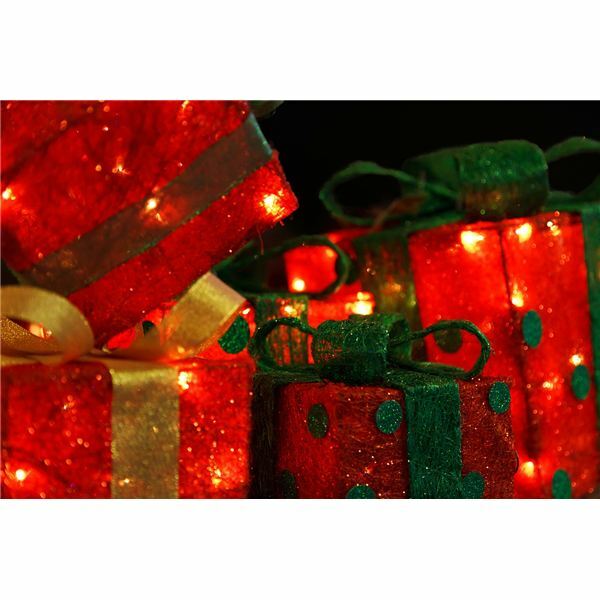 Seasonal gifts, such as winter gloves, coats, and the like are nice, but consider something your recipient will use all year long, such as a personal grooming kit or electric razor for men, a nice bag or organizer purse for ladies or an inexpensive piece of jewelry that will remind the person of you each time they put it on. Compare prices on similar items. It is nice to purchase authentic items for loved ones and friends, but would they be just as happy with less expensive versions? If functionality is the key, consider dropping the brand name $500 designer bag in favor of a $50 knock-off with the same functionality. Ask what the person wants. Some like surprises, but often people will give you hints as to what they would like for Christmas. This will help you narrow the choices, and then you can do some comparative shopping to find the best price for your purchase. Shop online. Amazon, eBay, and even specialty stores offer special discounts for Christmas shoppers, so now is the time to check out what they have to offer. You may have to pay shipping, but it is still usually a large savings over buying it at full retail price. When it comes to new technologies, newer doesn’t necessarily mean better. Tech companies are coming out with new gadgets so fast that there is no way to keep up with them all. Someone could go broke very quickly buying all the latest tech gadgets. Teach kids to shop discriminately and research their purchases before buying to get the best deals. Many new tech items have bugs that have yet to be fixed, so it may not be that smart to buy something on pre-order or as soon as it hits the shelves. People who buy new tech devices as soon as they come out are usually doing so for a status symbol, which is a poor reason to invest hundreds of dollars in new toys. Don’t do it for others’ approval. Buy gifts with the person in mind and shop around before you decide. Remember, something else will be out next week! When teaching kids to buy meaningful Christmas gifts, focus on the functionality, usefulness and appeal to the receiver, remembering that the point is to please the person and give them something they will use and appreciate. They will, of course, appreciate the thought, no matter what, but you can avoid your gift being placed on a shelf somewhere and forgotten by putting some thought into it and considering what they would like without spending too much. Remember that the holiday season will come and go quickly as always, but what remains is the thoughtfulness you show in a special gift that you present to someone who means a lot to you, which is so much more than money can buy.